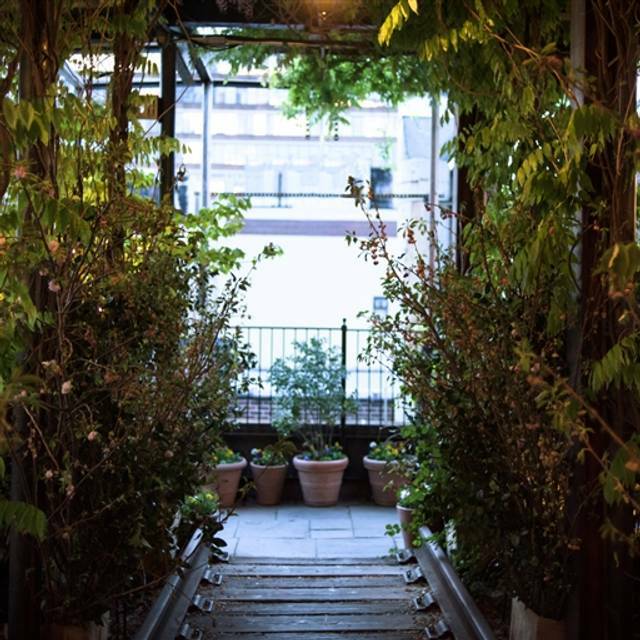 For special event inquiries please contact the events team at events@mckittrickhotel.com. 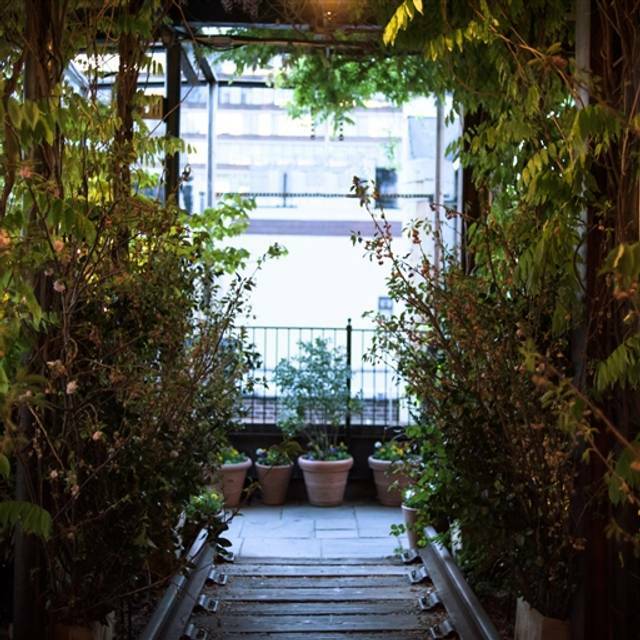 Dinner reservations are available beginning April 20th for our rooftop garden Gallow Green. For tickets to our Rooftop Brunch please visit our website at www.mckittrickhotel.com. Mediocre overpriced food. A salad and soup(!) so inedible they had to be sent back. Great cocktails, though a bit pricey. Great service though and the food is good, though I wish they had a bit more of a selection. Wonderful! One of the coolest places and experiences in the city. Very original place looking like a mountain ski cabin on the top of a hotel roof. Pop-up restaurant only open in the winter. Very dark, 1930's atmosphere with small tables and rooms with corners for a perfect romantic dinner. Unfortunately the menu is quite poor and the prices high. Very little - and poor - choice in wine. A few candles on the tables would be expected as light is poor. No appetizers to share for two ( saucisson, cheese, olives .. ) as it should exist in every mountain cabin ..
Could be a great place with the above. Great ambiance, probably better in spring when the roof opens. Food could use improvement. My good friend and I both loved it! Will come again for sure. Great atmosphere, incredibly friendly service from all involved - good food. Was hoping for more. It was smaller than I expected, but also less intimate than I’d imagined. Not enough room to “hang out and get cozy,” as pictures might suggest. Food is fine, but massively over-priced. The temporary nature of the Lodge results in the decoration not being as good as it could be. 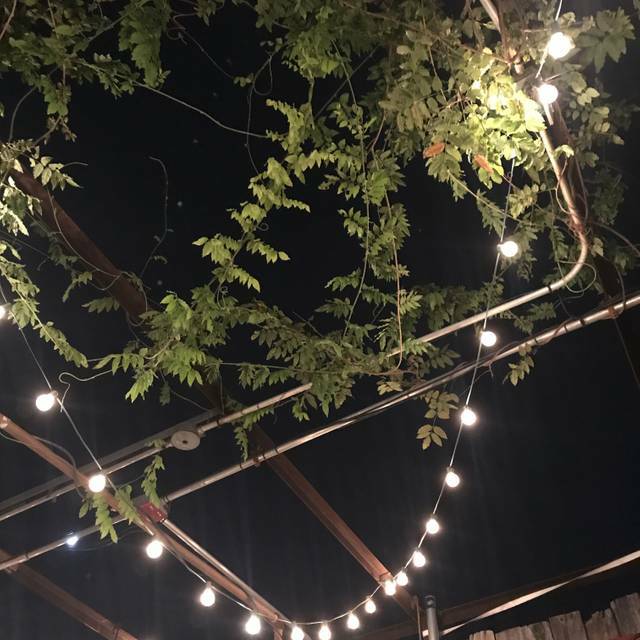 Go for the ambiance, not if you’re really hungry. 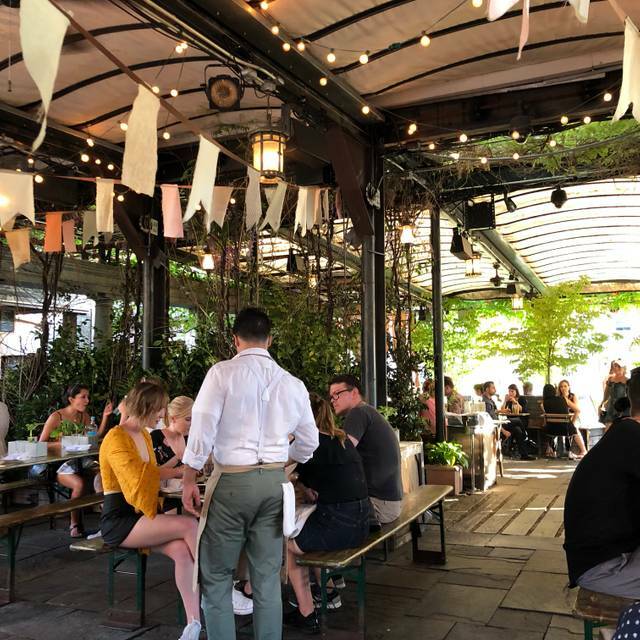 My daughter is a fan of Sleep No More so we took her to Gallow Green for her 23rd birthday. Cool setting, a bit chilly with the door opening and closing. Service was very slow, but staff were very attentive when my husband spilled his soup (quickly cleaned up and replaced). The food was good, but the portions are very very small. We each ordered three different entrees and none came with salad or even table bread. I ordered mushroom ravioli and they were tasty but I think there were literally 5 of them. My daughter got the moussaka and it was a five bite dish. Not a place to go to fill a hungry stomach. Mousse dessert was very good. Honestly I think this place was way overrated and overpriced but my daughter enjoyed her birthday experience so that is what was important. Had to pop along and check out The Lodge. Great set up! Cosy and inviting. Food was good, hot boozy drinks were great. Not the cheapest place in the city, but its an experience! 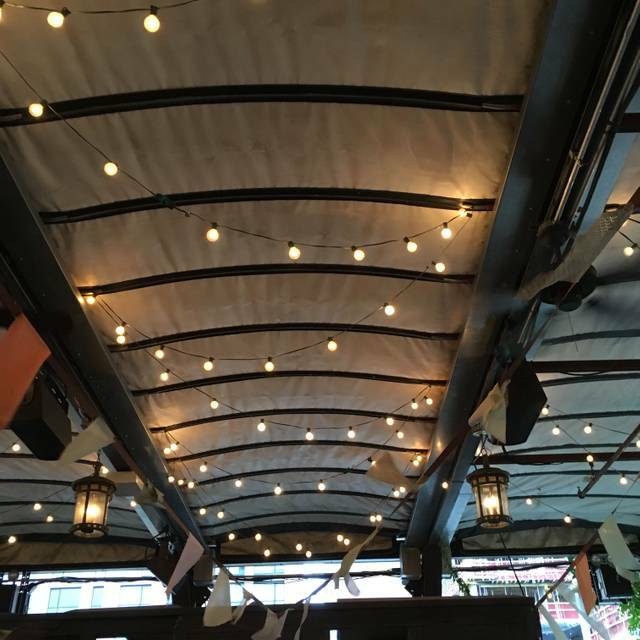 Very pricey cocktails, but cool quirky “speakeasy type” venue. Wish I would’ve been there when it was warmer because the fireplace and patio are the best parts. However, we didn’t get to enjoy those because it was too cold. The main dining area was cozy but just okay. Would only go back if I knew we wouldn’t be mostly confined to the main dining room. Overall though— unique experience you can’t really find anywhere other than New York! The drinks (especially the cocktails) are incredible here. I've been here a few times and it really is always such a fun time. Can't say enough about the ambiance, either. I just went in February and the rooftop was designed like a lodge. 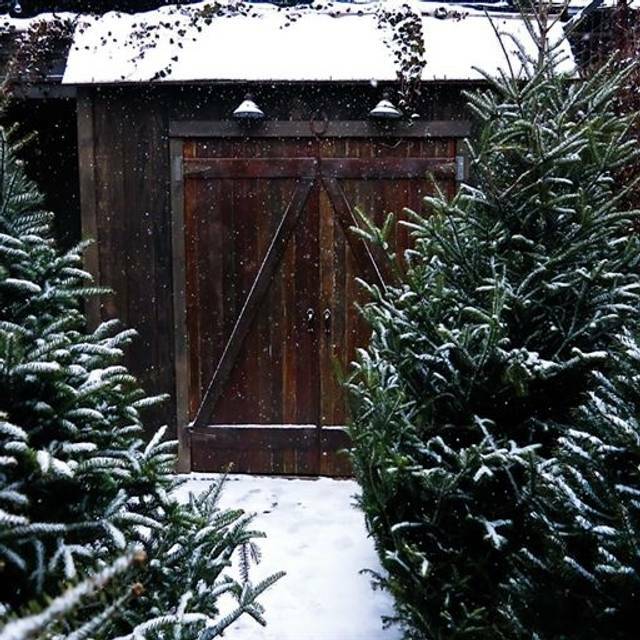 It was warm, cozy and a lot of fun. The food is also delicious, but I will say it's not much. The place is pretty pricey and while I really enjoyed the food, everything is served pretty light. I went home hungry despite spending nearly $200 on food and drinks. All that being said, this is perfect for a special date night. It’s a very dark room but quite cozy and quiet—we were there around 6 on a Saturday night well before the partying crowd showed up. Drinks were tasty tho a bit steep. Wish they had more food options; we might have stayed longer. The fondue was good—a real throwback to the old days of fondue parties. I guess I was expecting more of a ski lodge ambiance. 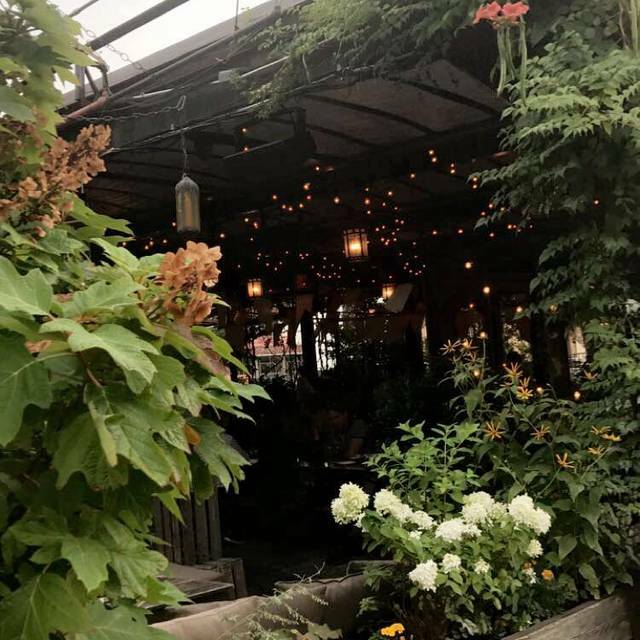 The Lodge at Gallow Green was very intimate and cozy, similar to having dinner at a good friend's house. The steak and squash that we ordered was tasty however the portions were smaller than we expected considering the price. The cocktails were delicious, unique and very well made. I would return just for their signature cocktails because they were so good. The menu was quite poor for food. They apparently changed it to focus on the drinks but not my thing. Ambience wasn't as amazing as expected but it was winter and weather was poor. My friend and I had a great great time! We loved everything! You must visit! You won’t regret it. Lovely experience. Great food leaves you wanting more. Attentive service and tastey mulled wine and cider. Worthwhile for those with imagination and heart. Portions were tiny and the service was slow and forgetful. Cancelled 4 hours before my reservation. This was to be a special occasion with my partner. Received a call cancelling- would not tell me the circumstances why they were cancelling. Offered me another reservation 2 weeks later, which isn’t going to work on a 1 week vacation. Poor. We didn’t expect such a limited food menu. They should make that clear. This whole pop-up thing is so tired and weak. No one cares for your experience or their position or offering good will on behalf of the restaurant - everything is just a money grab. Everything on the menu is way too expensive here for what you are getting ($17 pre-mixed cocktails, $20 for 3 ravioli small plate, etc.). The whole point of this place is to feel cozy and old, but what you get is a fake set-up and people who are rushing you through. When the runner brought us the wrong plate of food, and it sat there for 10 minutes while we waited for our waiter to come back so we could mention it, usually they leave it because of their mistake. He told us he needed to take it back to give to another table that will order it ... yuck. When questioned about it, he corrected himself that he will probably eat it. That is basically how the whole night went down - just no regard for the customer service aspect and all about the bottom line. Spend the money on getting out of town to a real lodge instead of this plastic experience. Misunderstood, thought this was a restaurant with a xmas flavor. Limited menu and very peculiar place. Everyone there was so kind to us. Will definitely be back. Don't go on a cold night, they do not provide enough heat lamps or blankets. Everything was great, the only problem was that it was a really cold night and they didn’t have enough heat lamps. 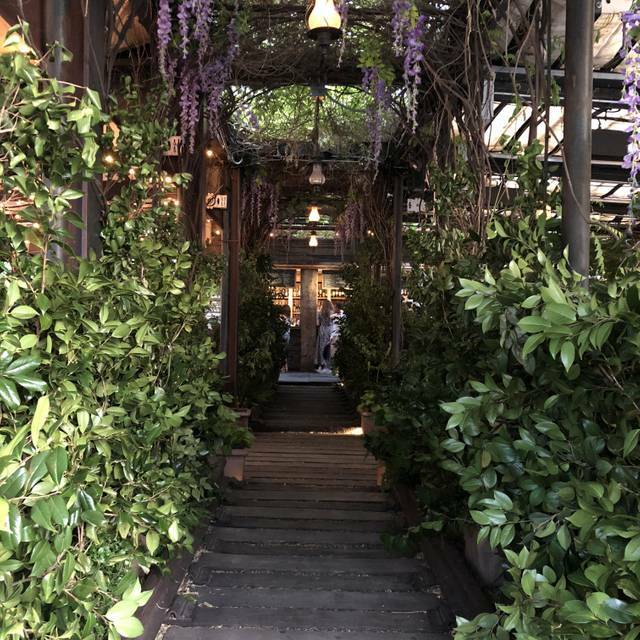 Great service and an attractive setting which gave it a unique atmosphere. Super locatie en super sfeer, zeker een aanrader! Erg veel aandacht besteed aan het idyllisch kader. helemaal in de trend van de McKittrick Hotel vibe. We arrived early and enjoyed cocktails in the last of the day's sunshine! The industrial style beautifully juxtaposes with lush greenery, and as the sun went down the lighting became far warmer and more intimate. Lovely spot, would definitely recommend. Alexis was a great server and thank you for bringing birthday dessert out for me and great place for a birthday! Will come back again! !